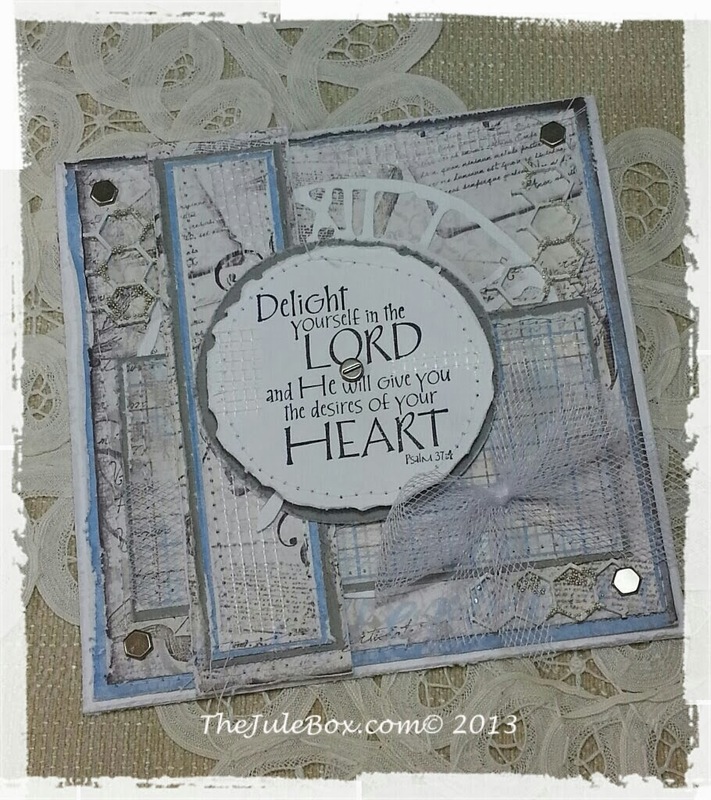 "The Jule Box Studios": "Delight yourself...." shabby card using Maja Design's!! 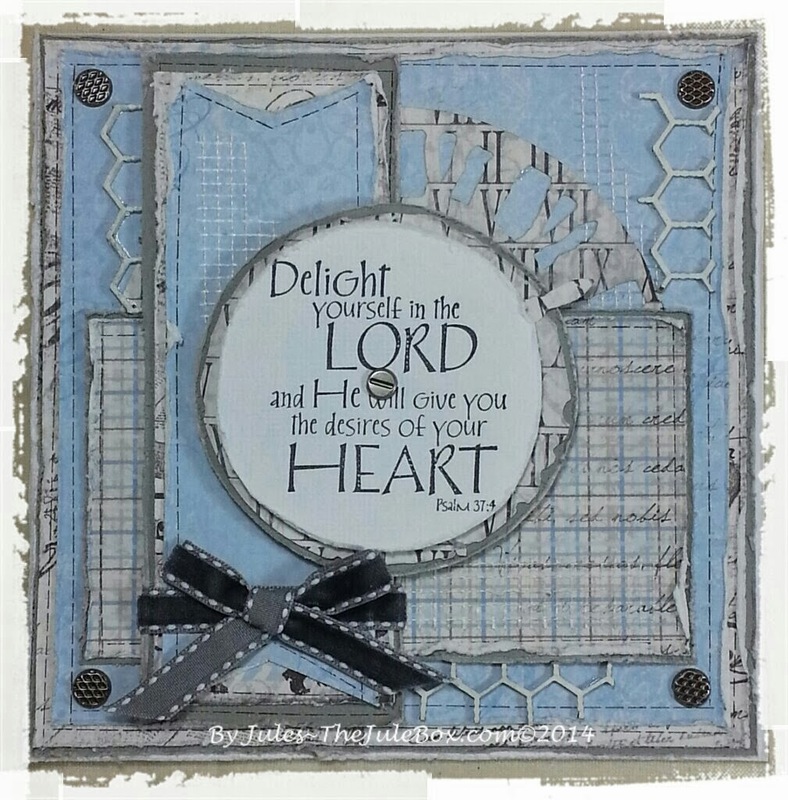 "Delight yourself...." shabby card using Maja Design's!! I'm glad you stopped in today! 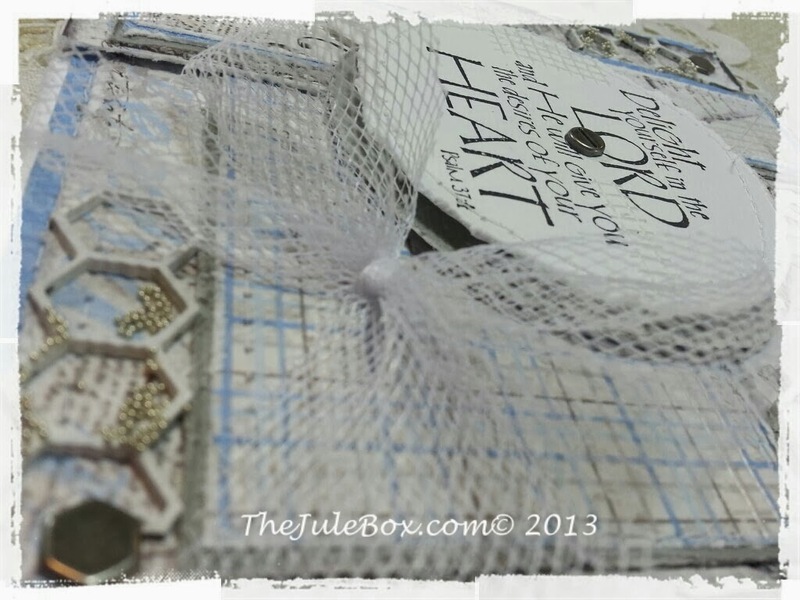 I've got a card share on today's post that I made last year...I know, I'm a little late sharing it, but better late than never! 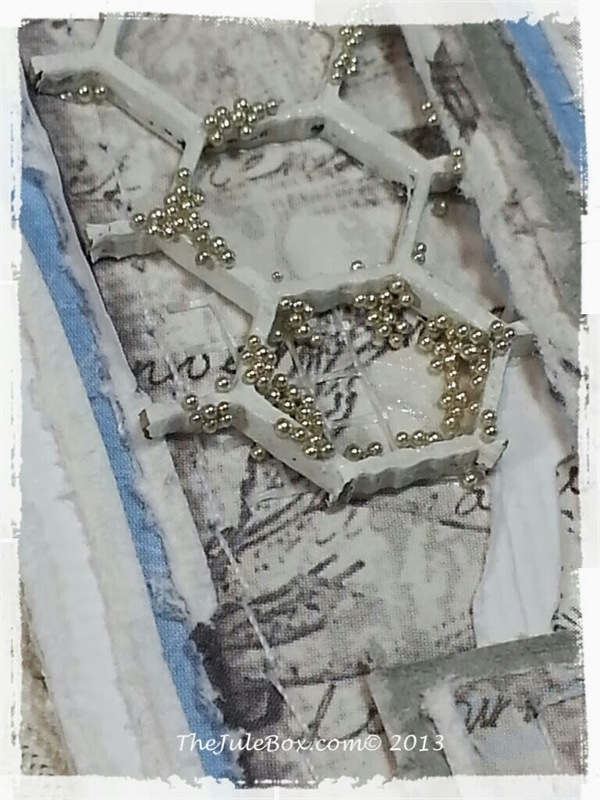 This collection by Maja Designs is called "Crea Diem" and has all his favorite shades of blue and gray!! I though it was absolutely a soft design with "boy" colors :) just my dad's taste! In the video I shared the card I made but didn't share the tutorial until I thought, "I'll just make another one that's similar so I can share a short tutorial"! So, I did! It's soooo simple to put together. 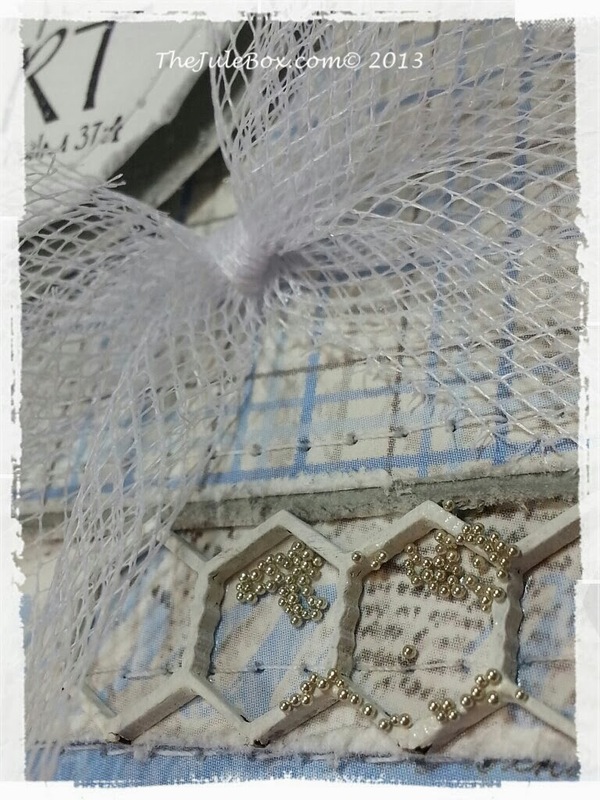 Here is the tutorial card, it has a more feminine softer feel! Here is a small list of products I used! 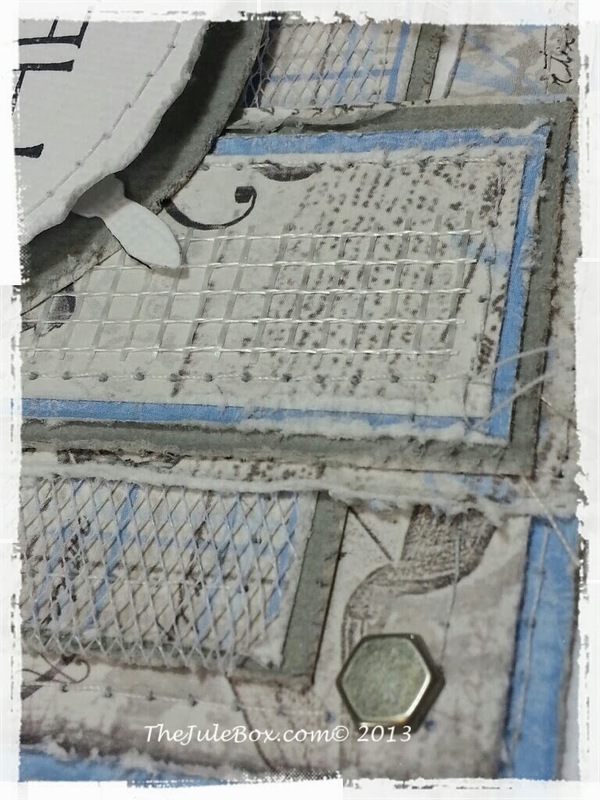 1~ Maja Design's "Crie Diem" 12x12 paper collection. 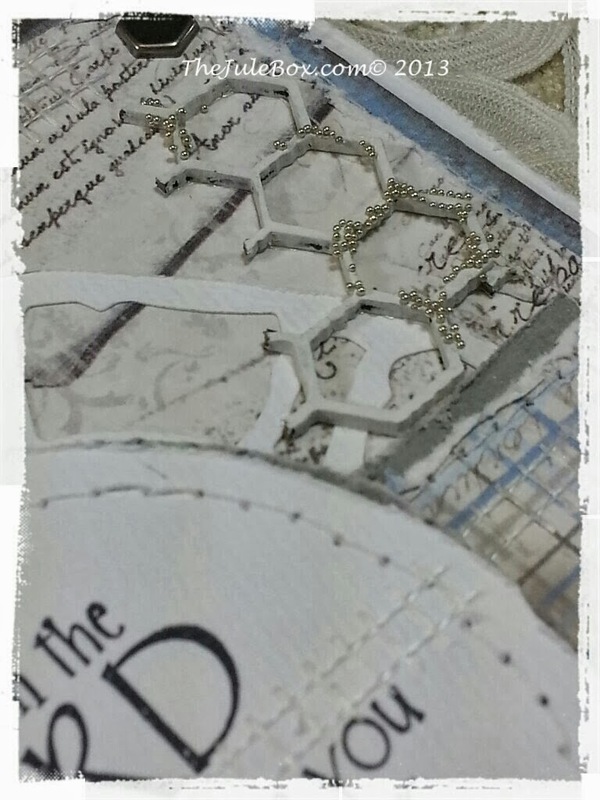 9~Clock die cut from Tim Holtz Alterations line "Weathered Clock", you can find the clock die cuts in sets at "The Jule Box Shop".com in my Tim Holtz die cut listing. They come in White, Kraft, Black and Ivory cardstock and in Grunge. Tons of qty sets to choose from!! 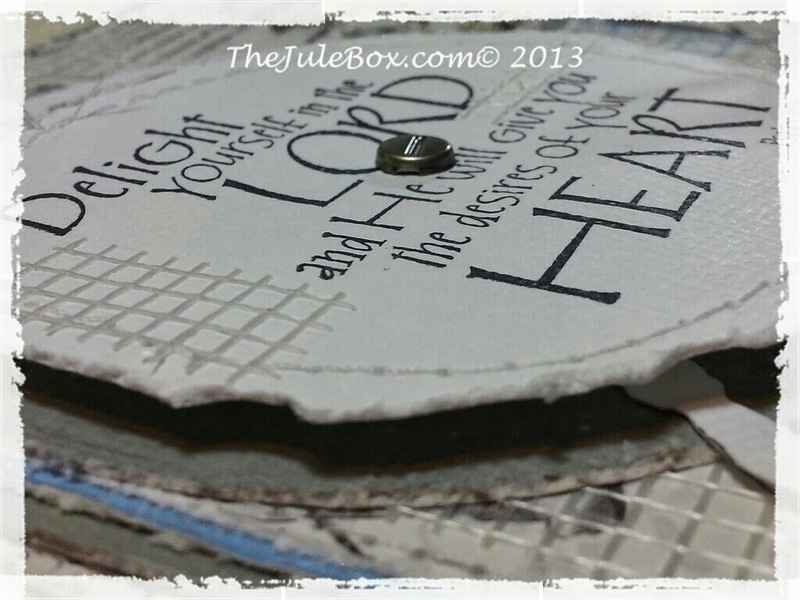 11~Scripture wood mount stamp by Stampabilities "Psalm 37:4"
Please let me know if you have any questions! Thanks so much for stopping in! 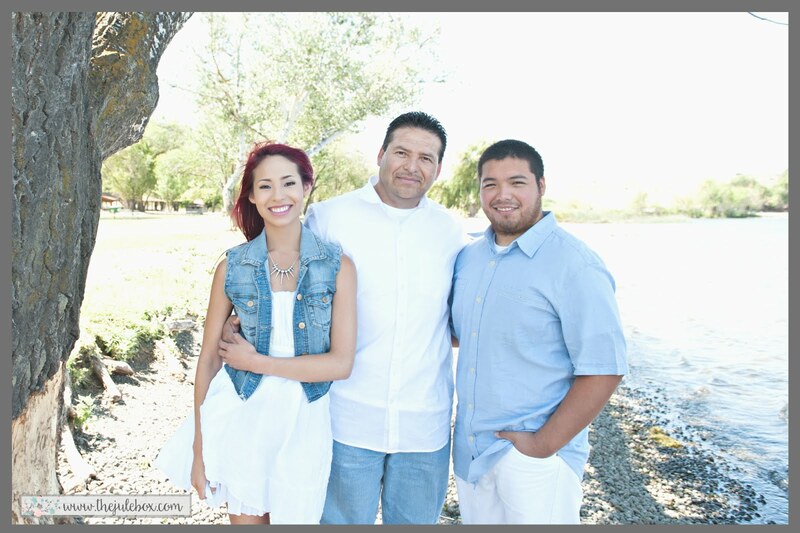 WOW your Father's Card is beautiful! 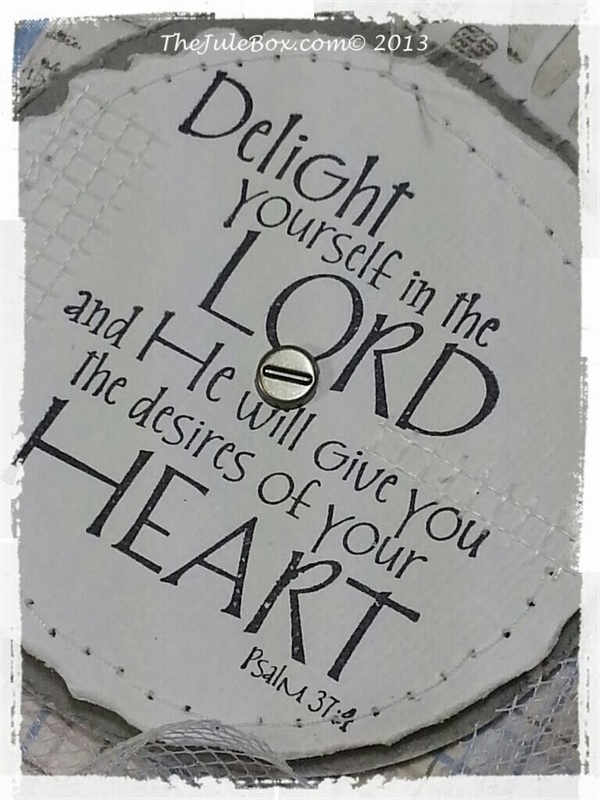 Love the colors and textures and that's a great Scripture! Thanks for sharing! Cool Pinterest pics using PicMonkey!